Apart from the usual security suite that you install on your PC to prevent viruses and spys, there are also many other protections in which you can take. In fact, there is nearly infinite number of small little freebies and programs that will enhance your safety. If there are ‘infinite’ of those freebies and security enhancements, then choosing the right ones can be quite a confusing chore to do. Also, you need to consider if the program is worth installing. If it doesn’t do much, then do no install it because you should try and keep your PC as clean as possible. – Ban certain websites and filter what they view. – Know who your child has been emailing to, IM and blogging. – Note: You and your children will need a Windows Live ID each. To sign up please click HERE. Pop-up blocker and phishing filter – Both of these should come standard with your web browser. To be sure, you should use the latest version of any web browser. I recommend using Firefox or Internet Explorer. Both of these have a pop-up blocker and a phishing filter. In addition, some free toolbars offer a phishing filter. Firewall – Having a strong firewall is essential. This will block unwanted installation of programs that might harm your computer. Basically, it will shield you against weird stuff and the world wide network. Your PayPal Account Information Have Problems. Don’t go to bad sites – This is one of the most important rule. Just don’t visit a bad site!! Do you understand? Backups – Having copies and backups of your data will prevent you from loosing your work and data. You can either do backups with a portable hard drive or use an online backup service. But remember, if you do not have a fast internet connection, then do not use online backups. However, if you plan to use a online backup service, try out Mozy, Carbonite or Box.net. Updates – Remember to update your computer’s software also its operating system (Windows Update). Please note that updates are there for a reason, not just to eat up your internet usage data! To prevent forgetting to do Windows Updates, set it to auto mode. For other software that you have, the update option is usually in the ‘Help’ button in the main menu. And this concludes the Security Guide series. I hope you learnt something from the guide. The next series will be about Using online services such as Backups, file storage and sharing. So stay tuned! If there is anything that you think is worth mentioning or I have left out, please leave a comment or send me an email. I would really appreciate it. 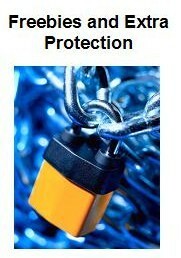 Choosing an Security Suite can be quite tricky due to the vast choice we have. Also, operating systems can largely affect which security suite you buy. I have finished evaluating and testing security suites, so here are my results for 2007. 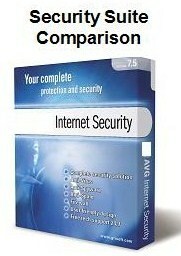 BitDefender offers the most comprehensive security in this comparison. 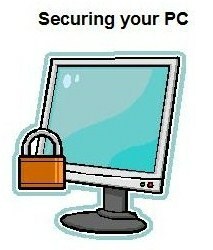 It does extremely well in all areas especially when it comes to protecting your PC against viruses and spyware. The scan speed is quite fast and it does not eat up too much of your system’s memory. However, the user interface is not as good as some of the other available options. But again, that is not the most important issue here. Click HERE to go to BitDefender’s official site. Mcafee comes second in this comparison. It too, has excellent anti-virus and spy protection. However, Mcafee does slow does your computer a lot (very Norton like) and it is among the most expensive suites here. But apart from those flaws, the suite is quite good. It has a better user interface than Bitdefender. Click HERE to go to the Mcafee official website. As older readers may remember that I was a Kaspersky fan. But that may change. 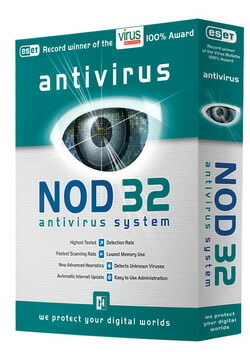 I have used NOD32 for nearly two years on one of my PCs and I like it very much. It does not take much PC memory and integrates well with both Windows Vista and XP. In addition, it is easy to use and does not interfere you a lot. In addition, it gives to high quality virus and spy protection which is very important. (Leo Laporte recommends NOD32!) Click HERE to go to the NOD32 official site. Kaspersky is a security suite that I like a lot. It offers possibly the best anti virus protection and is very easy to use. However, it does not do a very good job in spyware and firewall. Another flaw is that it takes ages to scan my computer. Apart from from those two flaws, it is quite good. It automatically scans, do health checks and updates. In addition, it does not take very much of your memory. My suggestion is that you should run another free anti spyware program on your computer. Kaspersky is quite compatible and flexible with other softwares. Spyware Doctor starter edition and ad-ware free are good examples. For, I think it is the best combination of security. But again, I cannot judge Kaspersky with the additional help pf another program. That is why is ends up at 5th place. But with the help of any other spyware program, it would deserve at least 3rd place. Click HERE to go to the Kaspersky official site. After rating it as number four in my previous security suite comparison, I thought that Panda was pretty good and was confused why other test comparisons gave it a low score. Still, I think it is a great solution. But this time, it has dropped a little bit, but not but far. Although it does not offer the super-strong and unbreakable anti-virus protection like Bitdefender does, it does offer quite a strong and flexible protection. Panda does not slow down your computer very much. After testing it more 30 days, I am very happy with it. For people who run Vista on their PC, Panda offers more than enough protection. My final thoughts and suggestions. In the next article, we will talk about enhanced security and extra programs and freebies that will help to secure your PC. So stay tuned! The internet is a great thing and I am sure that nearly all people cannot live without it. But along with the advantages, it has also brought us that problem of Internet Security. Now days, you need that take extra precautions on the net. In addition, internet security does not only include the risks of getting viruses and spyware, it is also about your children exposing their personal information and identify on the web. You can get internet virus in a numerous of ways. Some common ones are from downloading files, opening attachments, visiting bad websites, etc. Computer viruses can cause you to lose valuable data and cause your computer to not function properly. Although Spyware so not cause harm to your computer straight away, it can just sit in the background of your computer and track down all the activities happening on your computer and even steal your information such as password. In addition, these irritating virus and spyware have become very hard to entirely be cleaned these days. Although, your Security scanner said that the virus or spy has been deleted, you never know, it could still be sleeping in the background. So the best way to prevent this from happening is to not let the virus or spyware get into your computer in the first place. Another bug concern about online safely is children exposing their personal information onto he web. In my opinion, you should never give out your real identity on the web unless that you absolutely sure that it is safe. Do not just assume that it will be OK, because it will not! Online shopping is another concern. Number one is that you are exposing your personal information and number is that you are exposing your credit card number. However, it has now become much more safer. In addition, your could use extra safely tools and enhancements for better protection. In the next article, I will be writing about ‘How to Protect your PC’. Stay tuned!